Today, we think of Mars as having a cold, dry, and desolate environment (because it does). But that was not always the case. Four billion years ago, while our Sun was still in its infancy, Mars was covered with water. Back then, it had a much thicker atmosphere, which kept the planet warm enough for water to exist in its liquid form. Some estimates say that at one point, up to 1640 ft (about half a kilometer) of water covered the whole planet. NASA will launch its Mars Atmosphere and Volatile EvolutioN (MAVEN) on November 18. MAVEN’s job is to determine exactly what happened to Mars’ atmosphere during those four billion years. There are a number of theories as to why Mars’ atmosphere disappeared, including a major asteroid impact and the loss of its magnetic field as a result of solar winds. 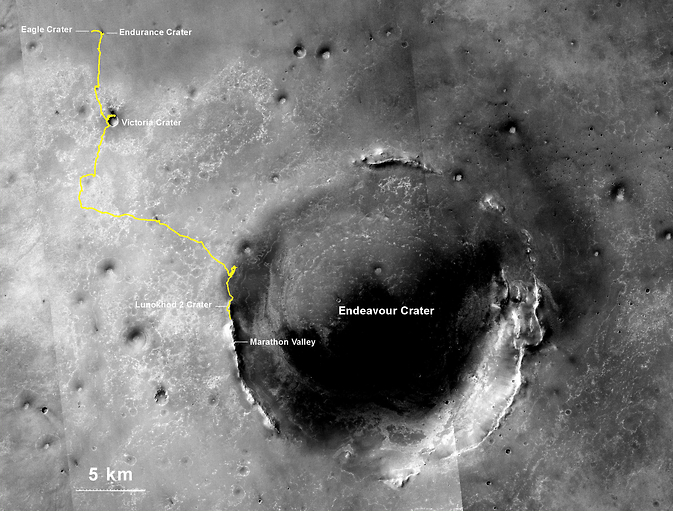 NASA hopes that the data collected by MAVEN will help them solve the issue once and for all. These animals are definitely powerful, but when you examine pound-for-pound strength, you quickly realize that it’s the smallest creatures who are really the most impressive lifters. Take the leafcutter ant, for instance. These ants cut off and carry leaf segments that are sometimes up to 50 times heavier than they are. But even the leafcutter ant is no match for the dung beetle when it comes to true strength. Though their appetite for dung has given them a bit of a bad name in our society today, dung beetles (also known as scarabs) were actually worshipped in ancient Egypt. The ancient Egyptians believed that the sun was rolled across the sky every day by a giant scarab god. Dung beetles may not actually be gods, but they definitely have superhuman strength. The insects are able to drag dung balls up to 1,140 times their body weight- the equivalent of an average human pulling six double deckers buses full of passengers. 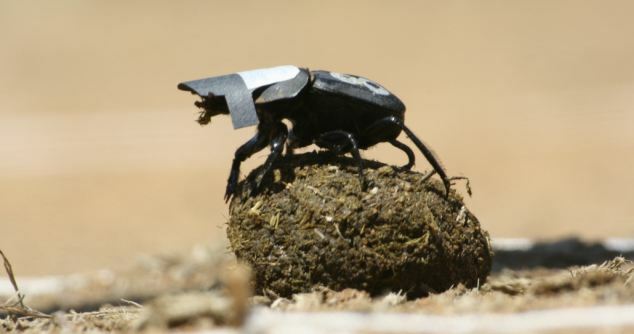 But there’s more to dung beetles than just eating poop. For example, they’re actually pretty good parents. Dung beetles are one of only a few groups of insects that has been shown to actively care for their offspring. There is even a monogamous species of dung beetle that mates for life. Even more interesting is the dung beetle’s navigation system. After rolling a fresh poop ball, the beetles will climb on top of it and dance around, orienting itself. Scientists theorized that the beetles were actually using the Milky Way to orient themselves and navigate. They tested this theory on one species of African dung beetle by putting little hats over them that covered their eyes. The beetles still perched atop their poop balls to try and orient themselves, but only were able to wander around aimlessly without being able to see the stars, proving that they were using the heavens to navigate. So give the dung beetle some credit- they’re probably much more intelligent and complex than you ever imagined. To learn more about dung beetles, check out these 10 Fascinating Facts About Dung Beetles from About.com. Tomorrow will not be your ordinary Friday. For starters, tomorrow is the 13th, making tomorrow a Friday the 13th. There will also be a full moon in the sky when the clock strikes 12:01 a.m. tomorrow morning. The last time that happened? October 13, 2000. The next time it will happen? August 13, 2049. Solar flares are brief, high-radiation eruptions that happen on the surface of the Sun. 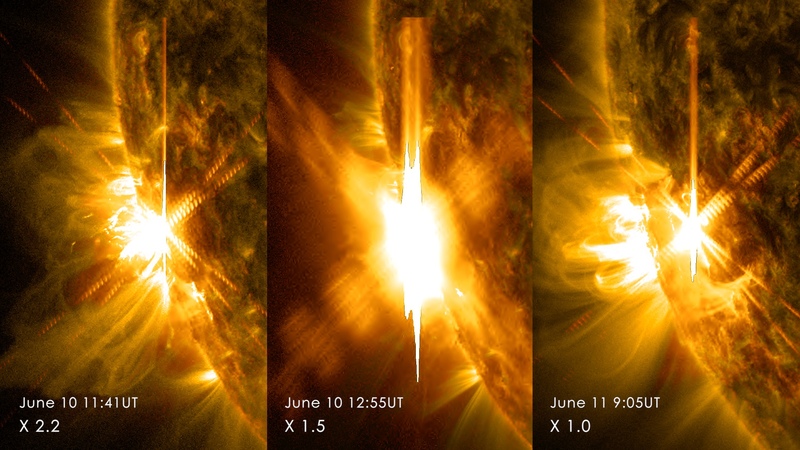 The three flares emitted in the past two days (pictured above) have been X-flares, the most powerful classification of solar flare. X-flares emit radiation at virtually every wavelength, from radio waves, to the light we can see, to x-rays and gamma rays. Because of all of the different electromagnetic waves that the flares emit, they can disrupt communications here on Earth. In fact, the flare in the video above caused a temporary radio blackout here on Earth, according to Space.com. Did I mention CMEs? CME stands for coronal mass ejection. This occurs when a powerful solar flare emits a plasma burst along with the radiation. A plasma burst can cause polar geomagnetic storms which are capable of severely disrupting communications and satellite systems, including GPS. Along with having the potential to cause low levels of radiation poisoning in humans, a strong CME would also create surges in electrical wires, destroying transformers and leaving millions without power. Despite the scary stuff, CME’s are pretty fascinating. These plasma burst clouds actually compresses Earth’s own magnetic field, which is what causes so many of the potential issues. At first, officials at the U.S. Space Weather Prediction Center didn’t think that the flare in the video above had emitted a CME, only to find later that it had actually produced two of them. 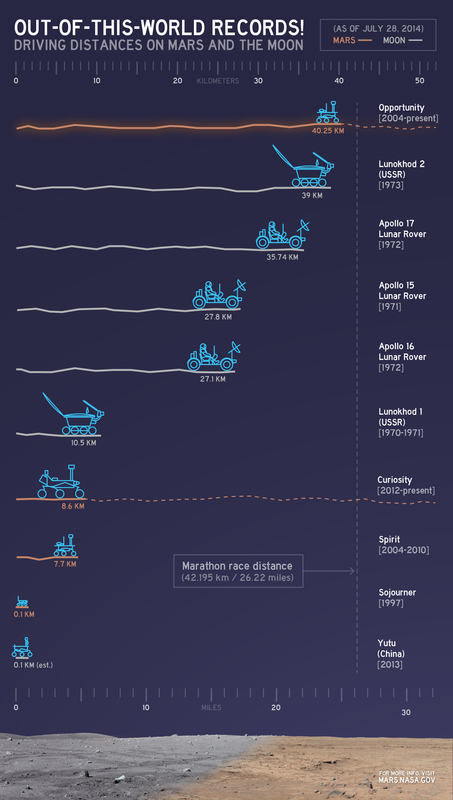 They are expected to give Earth a glancing blow when they reach Earth orbit…tomorrow, Friday the 13th. Back in January of 2002, astronomers witnessed a huge explosion from the star V838 Monocerotis, a red variable star about 20,000 light years away from our Sun. At first, they thought it was a typical supernova (the explosion of a dying star), but after watching the explosion dim then brighten twice over a period of only a few months (supernovas will usually only dim after the initial bright explosion), astronomers really weren’t sure what they were dealing with. Check out a time-lapse of the explosion from 2002-2006 below (full screen highly suggested). The explosion was a supernova, just a very unique one with a multi-outburst pattern, which would explain the multiple brightening and dimming events. Most scientists agree that the large size and young age of the stars in that region makes this explanation unlikely, however. The explosion was a thermal pulse. When moderately-sized stars run out of fuel, they explode (in a supernova), leaving behind a dense core of hydrogen and helium. Sometimes this hydrogen and helium core can be re-ignited, illuminating the layers of ejected star material from the supernova explosion. Again, however, the star’s young age makes this possibility unlikely. Another theory also proposes a helium flash, but one that occurred as a result of thermonuclear processes in a massive supergiant star. Supergiants can be large enough for an outer layer of helium to ignite and start the fusion process without the whole star being destroyed. This theory fits with the star’s age, but it doesn’t seem that V838 Monocerotis had enough mass for this process occur. Planetary capture: when a star grows to large proportions, it can start consuming nearby planets. The friction generated when a very large planet gets pulled apart by the star’s gravity can produce enough energy to spark deuterium fusion, which releases massive amounts of energy (like what we see in the time-lapse). The explosion was a result of a mergeburst. Sometimes, in clusters of younger stars (where orbits can be very unstable), two main-sequence stars can collide, creating an explosion similar to the one in the video. The relatively young age of the stars near V838 Monocerotis make this a reasonable possibility, and this hypothesis has also been supported by computer modeling. It’s awesome to study the stars and find out exactly why they act the way they do, but sometimes explanations can be elusive. So while we search for answers, we should also make sure we take the time to simply enjoy watching this mesmerizing cosmic phenomenon. Last month, NASA set out to create a “global selfie”. First, they asked people around the world to take pictures of themselves with a little NASA placard saying where they were. They then compiled the 36,422 selfies they got into a stunningly accurate mosaic of the Earth. For Earth Day (April 22), NASA used social media to pose the question, “Where are you on Earth right now?”, encouraging fans and followers to take selfies and post them using the hashtag #GlobalSelfie. Selfies were taken on every continent (including Antarctica), and 113 different countries and regions were represented. Each picture was used as a tile on the earth, creating a fully zoomable global mosaic that you can view by clicking the image below. Everybody got in on the fun, including Elmo, a lego pilot, an astronaut and even a lazy cat. 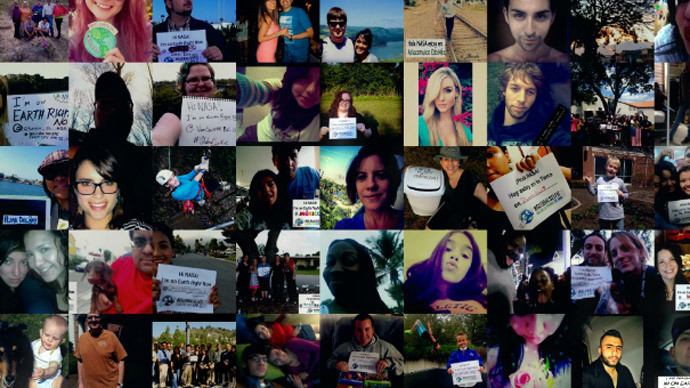 Check out some of the coolest selfie submissions below.